I’ve just finished an amazing retreat in magical Bali, and it always amazes me just how powerful the shifts are that happen for the guests during the week. Spending quality time focusing just on yourself, drinking juices that assist in cleansing both the physical and the emotional body, clearing out old waste and participating in activities such as breathwork and sound healing, opens up a place for miracles to occur. But at this retreat, the miracles weren’t just reserved for the guests. I came into this retreat at a bit of a crisis point in my life. Over the past two years it feels like nothing has worked well for me. My book that I had almost finished writing has been stagnating – I felt that my early writing wasn’t up to scratch so this year has been spent in rewrites rather than finishing those last few chapters. Because my focus has been on writing, my business has taken a bit of a downturn and has become a struggle rather than a joy. My health has never quite recovered from the fatigue relapse I had a few years ago, and this year I chose to do some fertility treatments that left me severely hypothyroid, gaining another ten kilos of weight despite a healthful lifestyle. The grief from my miscarriages was still prominent, and I have been on the verge of closing down my business, putting my book in the bin, and walking away from everything. So I came to Bali with some intentions in mind. To find a way of letting go of the past and discovering the joy in life again. To open my heart to the possibilities in life rather than closing myself off to them. To find out how to move forward in a way that nurtures and honours myself and my health. During the week I found my miracle. It started with the support of a very close friend – one who reminded me of who I really was without my sob-story – the intelligent, loving, knowledgeable, kind naturopath who has so much to give. Then I sought out local healers – an energy worker who shifted my stuck energetic patterns and left me feeling so much lighter, a medical intuitive osteopath who reset my nervous system and shared words of wisdom that touched my heart, a powerful Agni Hotra ceremony that saw me release the baggage of my past into the fire, and finally a shamanic astrologer who put my life path in perspective and shared with me that I was at the very end of a two year cycle influenced by Pluto. A cycle that highlighted the themes of life and death, home and family, a cycle where I would feel that nothing in my life worked. He confirmed that I was absolutely doing what I am meant to be doing in life, and that over the next few months I would find things becoming easier and flowing again. I would regain my love for life as this phase passed and exciting new adventures emerged. I was due to fly home on Sunday night, but with the re-emergence of a deeper sense of self and more optimism than I’ve felt for a very long time, I changed my flight and am staying in Bali a few more days to fully integrate the changes I’m feeling and to gently nurture myself. A choice that I wouldn’t have made in the past. I would have dashed home straight after the retreat, headlong into work and back into the patterns that have kept me from healing and stepping into my own power. From these healings, insights and awareness has come clarity on what my next step forward will be. I have a retreat at Byron Bay in September, but I am making that one the last retreat of the year. I need some time out, time to rebuild my health, to find a more gentler way of being, to slow down and to establish a new pattern in my life – one where I am able to be kind to myself each day, and as John Dumas reminded me – to fill my cup with love and light every single day so that it overflows and spills out to touch everyone in my life. If you were thinking of attending a retreat with me this year – September 4th – 12th is going to be the next and last one I am holding until February 2016. If you were planning on attending a retreat this year, then I would encourage you to secure your place as soon as you can as I am sure that it will book out now that there are no October or November retreats being run. See the retreat website for details. I want to thank every single person over the past couple of years who has been so supportive during my times of challenge, as I journey through the ups and downs of life. I don’t pretend to have all the answers, but know that life is a process, not a destination. And the path ahead looks very bright indeed. ?????????????? ? ? journey and next era !! Just beautiful, Leisa. Thanks for sharing. Bali sounds like it has been really good for you as well as all your retreat guests. I’m so glad you know you are on the right track with what you are doing as there would be many many people who would miss you, and your inspirational guidance, if you ‘bailed out’ of Embracing Health. So looking forward to seeing you in September. Leisa it’s touching to hear of your personal life struggles when you have helped so many people in many ways. Myself being very appreciative of the amazing changes I was able to do for my health since learning so much at your Retreat! Would be a sad loss if you weren’t able to share your knowledge with other people. Hopefully your energy & passion will ignite again after your healings in Bali. 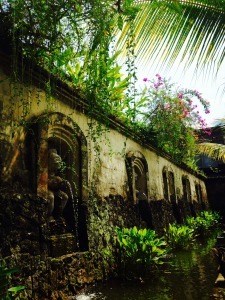 A month ago I went to Bali & had the most amazing week including sessions with a Master Healer & chakra balancing. Such a wonderful spiritual happy place. I love Bali ???? You’re so amazing and help countless people daily with your gift to nurture and expertise in natural healing. We all look up to you and I personally love how you express your raw emotions making you even more approachable. I wish you every success both on a personal and professional level and know if anyone can do it – it is you. So happy for you Leisa you have made the shift you needed to make and are now more fully embracing your Goddess. This really is putting a big smile on my face. I am so thrilled you were able to Embrace your own health by taking in all the richness Bali had to offer you and thank you for sharing it in your blog as I hear you sister! I am glad Pluto is moving on!!! And yes we all love hanging onto our stories but in doing the energy just repeats itself again and again. Time to create a new story!!! Thank you so much for sharing, I feel quite moved by your words. Bali seems to have some really magical energy right now – I’m so glad you’re making choices for your soul. I am just so healthy now and loving life – carrying on your teachings to the best of my ability. All thanks to you and your wonderful teachings. I have been keeping my eye out for your book which I will buy when the time comes. Once again I thank you from the bottom of my heart (which is really healthy now) and wish you all the very very best for the future. Your feelings following miscarriage completely sum up how I’m feeling right now! Really interested in the healing sessions you did in Ubud. Do you know if there are any forthcoming ones here in 2017? Previous post: What Elements Make For A Good Detox Retreat?